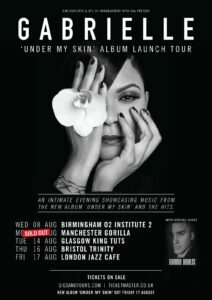 I recently caught up with Gabrielle as she releases her fabulous new album ‘Under My Skin’. 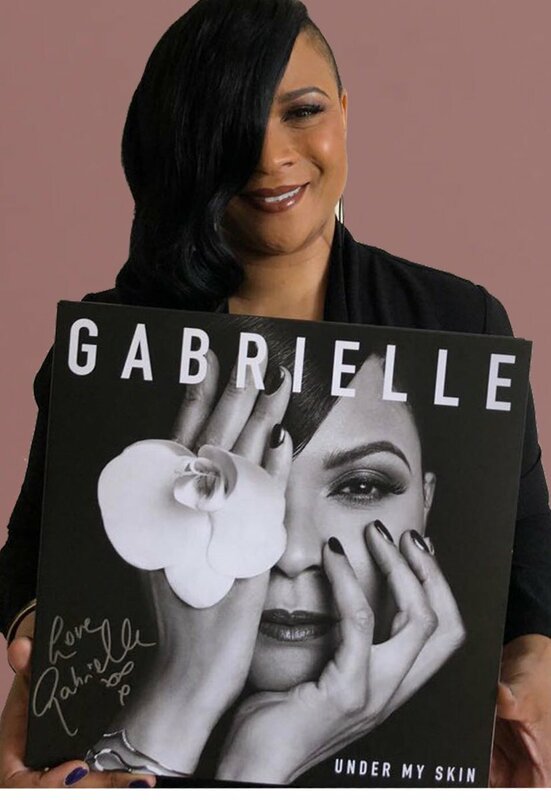 So I am delighted to offer a chance to win 2 tickets to see Gabrielle at her album launch show at the Jazz Cafe, London on August 17th. ‘What year did ‘Dreams’ top the chart? 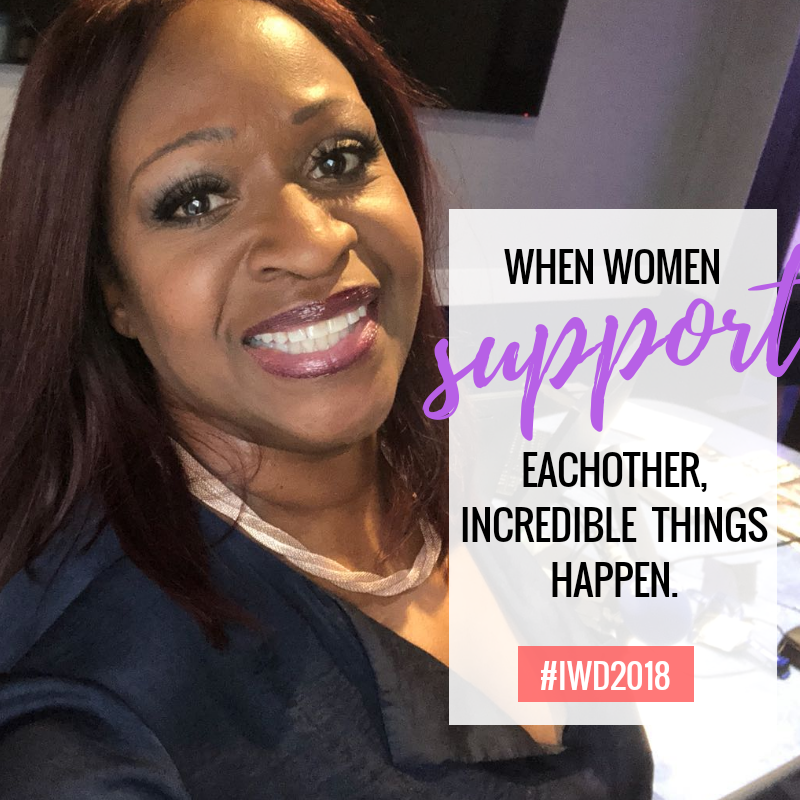 Terms and conditions apply: You can enter via email to editor@angiegreaves.com, online or on Social Media. The closing date is Friday 10th August 2018 at 6pm. We will not accept late entries. The winner will be selected at random and notified on Friday 10th August 2018 at 8pm. You must be available to attend the event on Friday 17th AUgust 2018 at the Jazz Cafe, London. Transportation to and from the venue is NOT included. Tickets are available for other dates and venues via Ticketmaster. Click here to purchase. 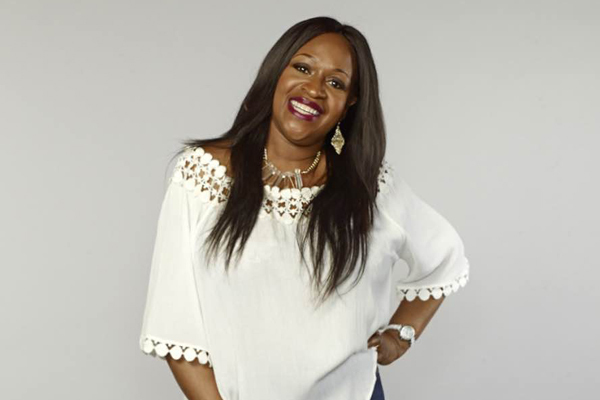 Find out more about Gabrielle on Facebook, Twitter and Instagram by searching @gabrielleuk.